Whisk together sour cream and powdered sugar. Add grapes, coconut, and sliced almonds. Fold in whipped topping and marshmallow cream. Swap out – add a can of fruit cocktail or crushed pineapple. 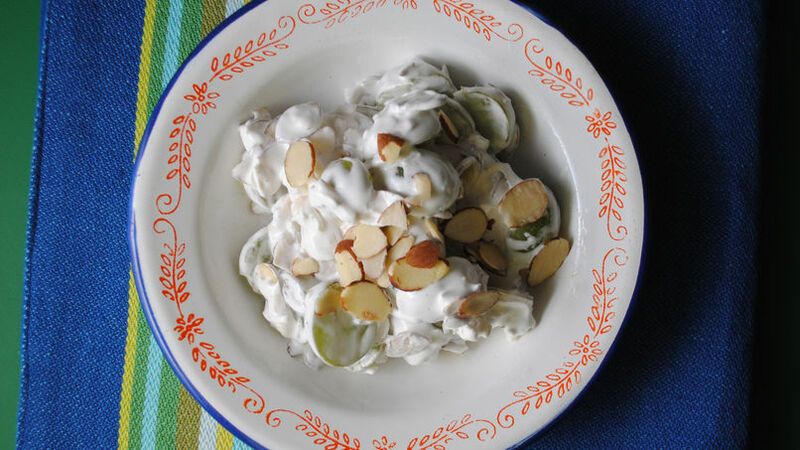 Vianney Rodriguez This fluffy marshmallow grape salad is great for your next potluck dinner. The sweet bite from the juicy grapes and the crunchy taste from sliced almonds make this salad a winner!